Perfect for long car rides or even to use at church! 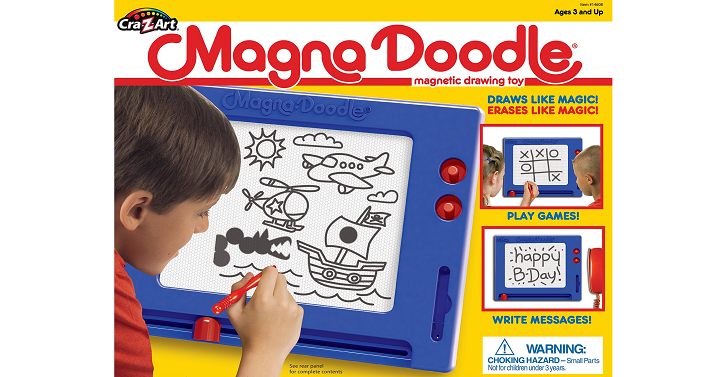 Head over to Amazon where you can get this Cra-Z-Art Retro Magna Doodle for only $7.99! (Reg. $19.99) This magnetic drawing toy draws and erases like magic! Play games with it or write messages!